Need help with how to apply to law school? 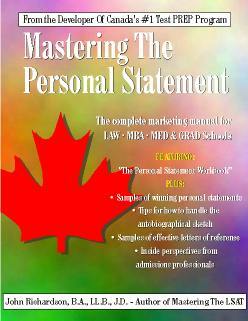 – “Personalized” Law School Personal Statement and Application consulting – with John Richardson – Author of: Law School Bound – How To Get Into Law School In Canada and the U.S. and primary teacher of the longest running LSAT prep courses in Toronto. Alternatively, attend our live Law School Personal Statement workshop in Toronto. Learn more about personalized, professional, and experienced Law School Personal Statement consulting with John Richardson. Even though Ontario uses a common application form, different personal statements are required for different schools. Principle 8 – Research the school. What kind of people are they looking for? Read the Dean’s message. How can I market myself specifically to this school? Richardson Personal Statement Workshops are held throughout the year.